“Me and my friend were passing through the Khorat province of Thailand, when we accidentally spotted a farm and decided to pull over and check it out. We discovered that it was the popular Chok Chai Farm – that houses in numerous animals like cows, sheep, horses, chickens and more. We decided to stay back there for a while. 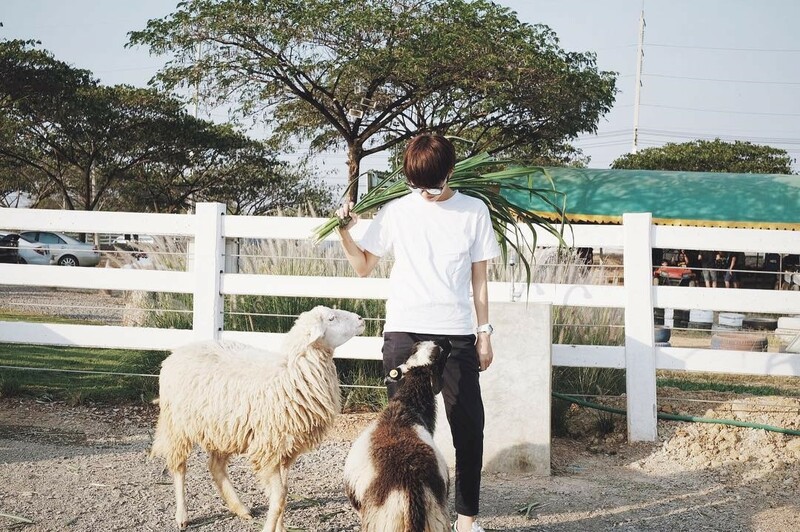 Photo @t.prang | Prang with the sheep of Chokchai Farm, Thailand.